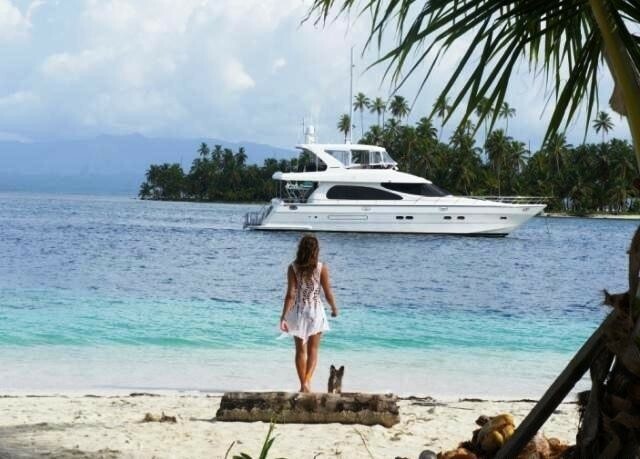 Luxury charter yacht LADY MARGARET is a 19.5m (64ft) motor yacht built by Horizon and launched in 2008. 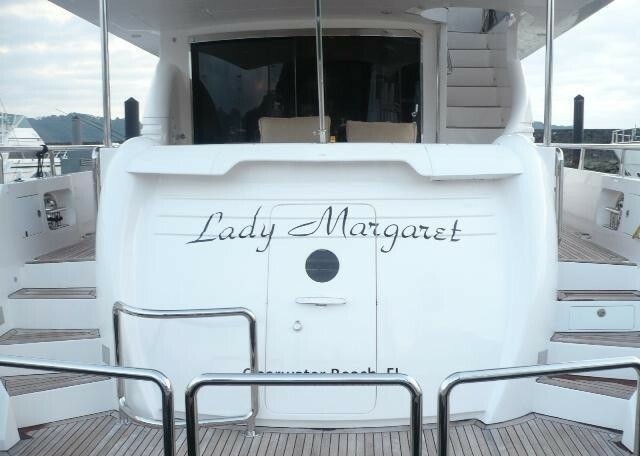 M/Y LADY MARGARET exudes a deluxe atmosphere with fine finishes, high quality soft furnishings and state of the art equipment. 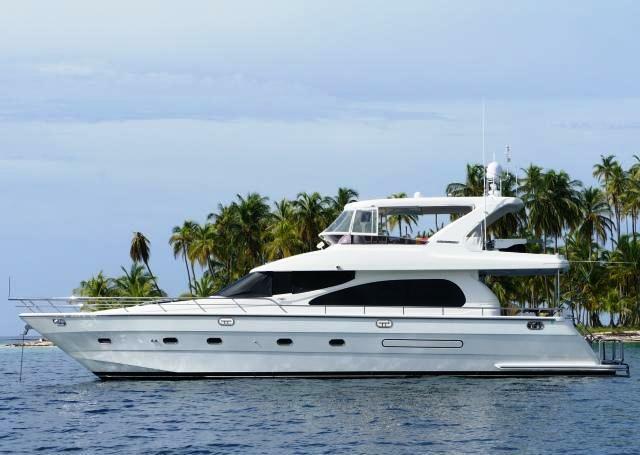 Motor yacht LADY MARGARET accommodates 2 – 4 guests in 2 spacious cabins and is available for charter throughout the Caribbean. 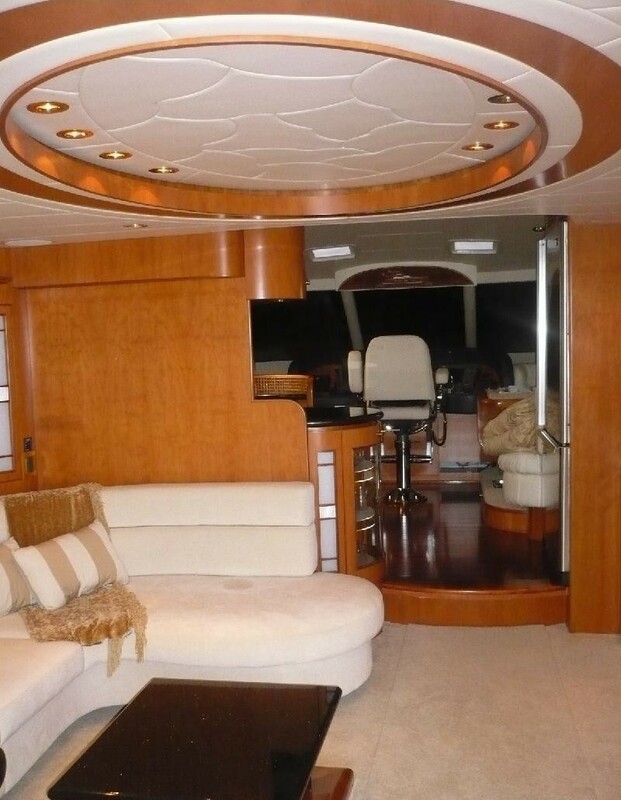 Yacht LADY MARGARET boasts a sophisticated interior for a yacht of her size. 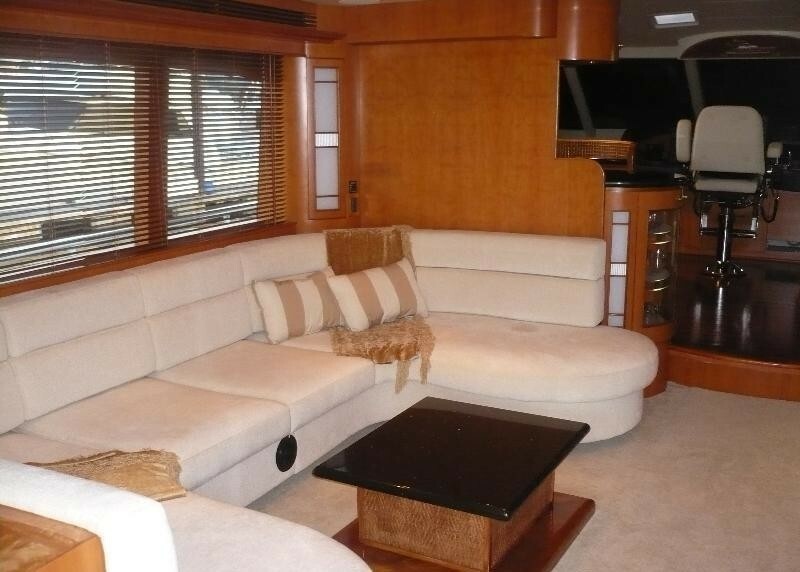 The salon is inviting featuring a large U shaped cream sofa to port and an entertainment area to starboard for watching one of the 100's of movies in the movie library. Panoramic windows give ample light by day, by night soft lighting creates a serene mood. Plush carpets add an air of class, while warm toned high gloss woods bring certain elegance. 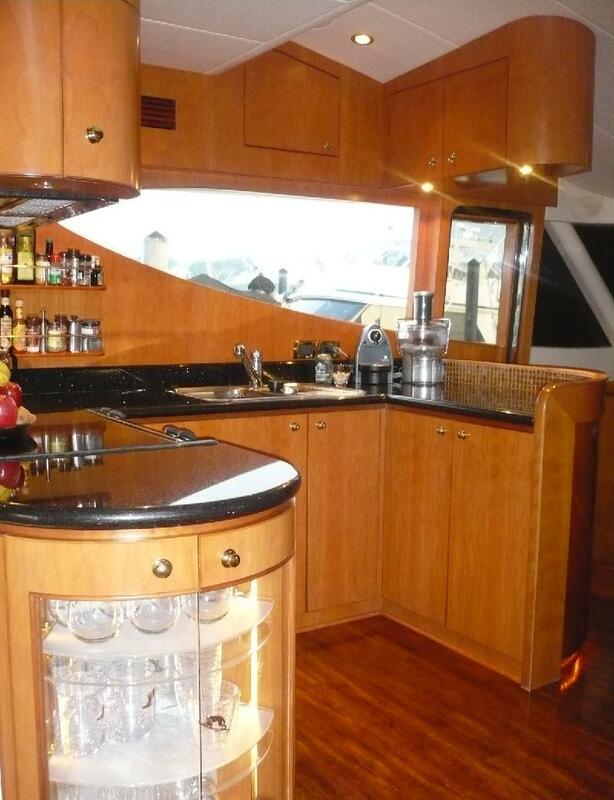 Separate and forward of the salon the galley, supplied with top of the line appliances is to port and the formal dining table is to starboard. The space is open and airy thanks to surrounding windows on both sides and forward. 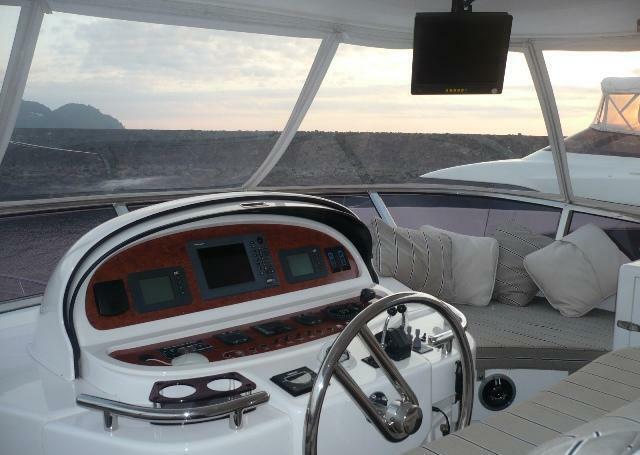 The entire vessel is wired for sound, with one iPod dock and internet where available. 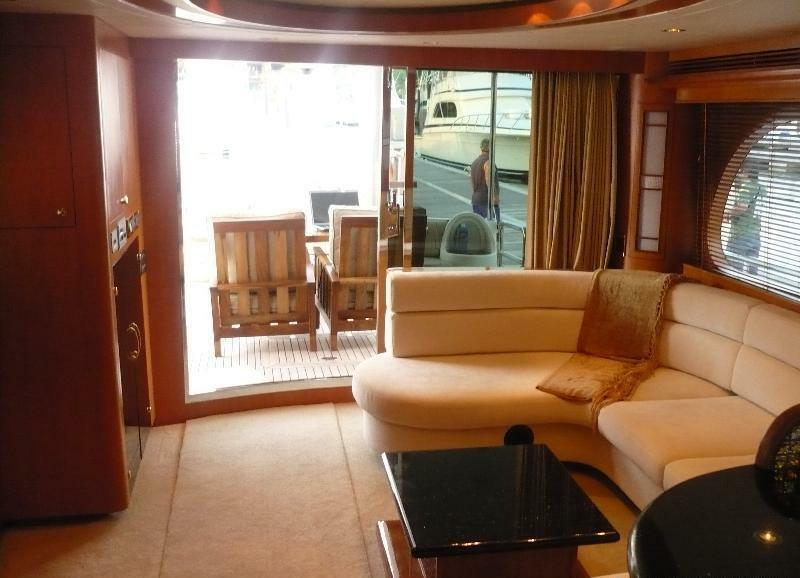 Guests will enjoy all the exterior space the LADY MARGARET motor yacht has to offer. 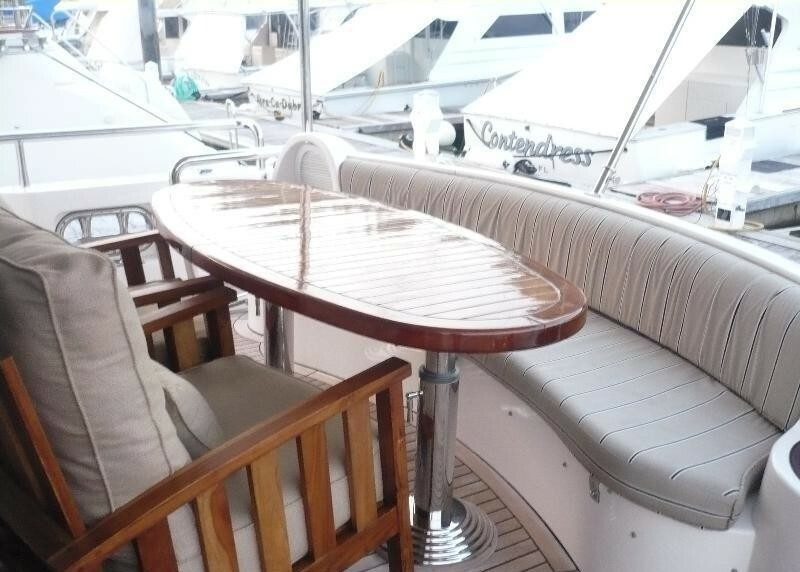 The aft deck is shaded and offers an alfresco dining option and a comfortable seating arrangement. A massive swim platform allows guests to access the water with ease, stainless steel railings give optimum safety at all times. Lady Margaret has special underwater lights under the swimming platform that turns the water into a beautiful aquarium at night for fish watching. Forward the Horizon 64ft motor yacht LADY MARGARET boasts a double sunpad, ideal for a little privacy. Above the main deck, the flybridge is perfect for entertaining featuring an alfresco dining table, additional lounge seating, BBQ, optional clear roll away weather windows and idyllic views. 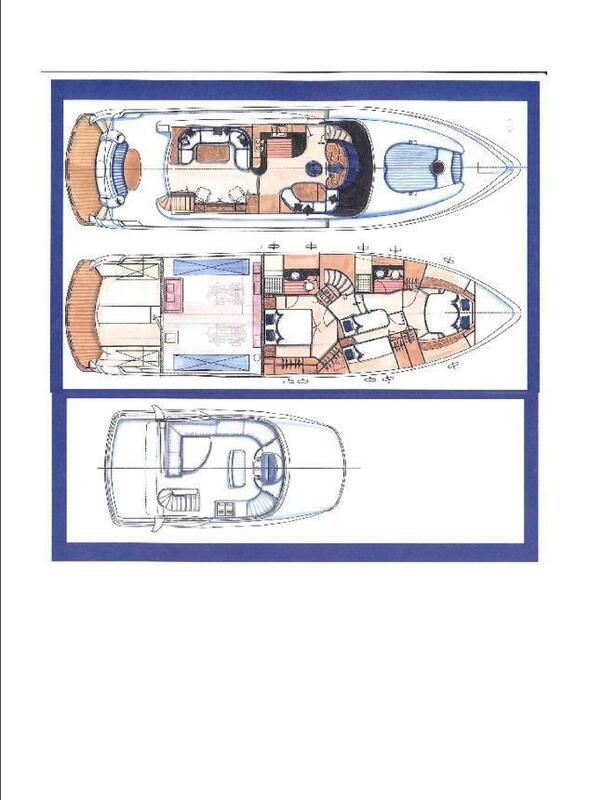 Charter yacht LADY MARGARET has a beam of 5.4m (18ft) and a draft of 1.67m (5.5ft), she is capable of cruising at 10 knots with top speeds of 18 knots, powered by twin 660HP engines. 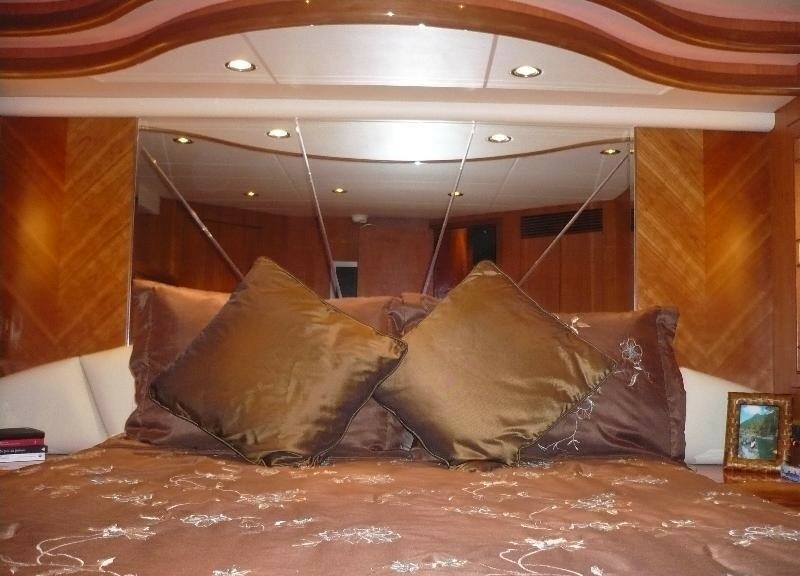 Yacht LADY MARGARET offers only the finest in accommodation for up to 4 guests in 2 double cabins. 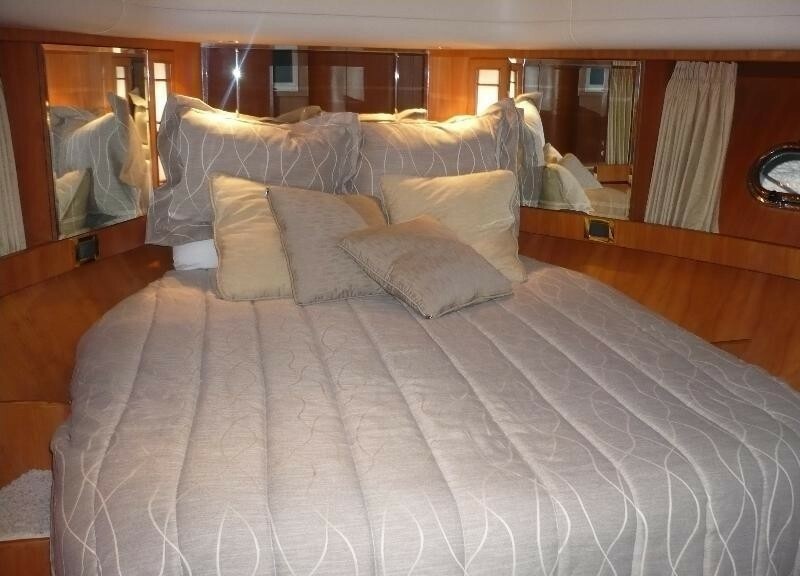 The Master suite is amidships with a queen size center lined bed, Tempurpedic mattress, 800 thread count Egyptian cotton sheets, a choice of feather pillows or low density pillows and an en-suite facility with shower. The VIP cabin is forward with a queen size bed, 800 thread count Egyptian cotton sheets and shared facilities. 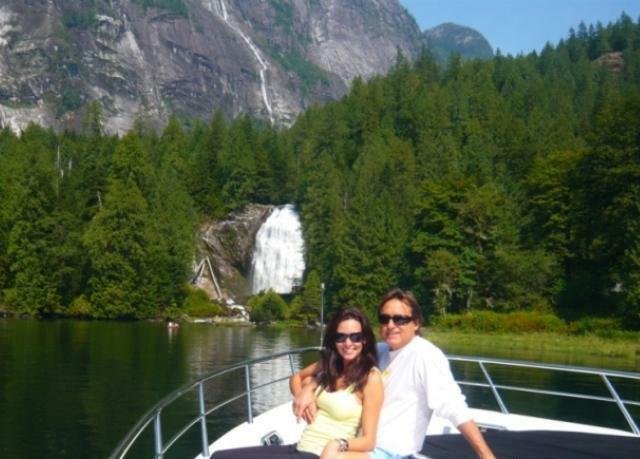 Each cabin is fully equipped with TV, Direct TV, Stereo, DVD player, Intercom system and Individual climate controls. LADY MARGARET prefers only 2 guests but, can accommodate 4 guests (sharing a bathroom with crew) in 2 cabins. 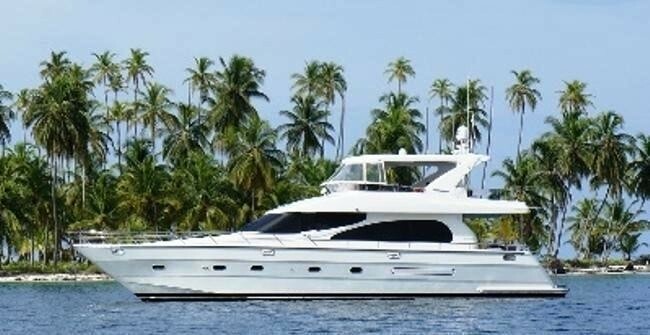 Horizon motor yacht LADY MARGARET has some fun amenities including: 4.2m (14ft) Tender with a 60HP engine, Wakeboard, Fishing gear (plus Deep Sea), Floating Matts, Snorkel Gear, Kindle, TV/DVD, Direct TV in the salon and all cabins, Sound systems throughout, BBQ, Wi-Fi. The yacht offers diving by rendezvous appointment only.